Routine - Assignment Instructions – How can we help? To complete this assignment, you will identify one buyer or client that you have not previously engaged and successfully establish two-way communication with them. The goal is to start one net new business relationship. Identify one new buyer or client contact that you’d like to schedule a meeting/call/demo with. 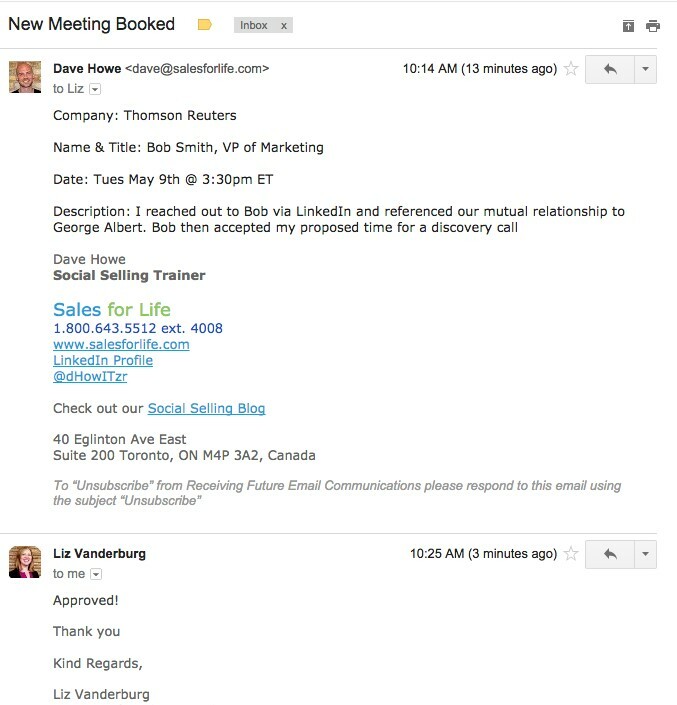 Reach out to that buyer/client via social media channels (LinkedIn or Twitter) to start a conversation that will result in a new meeting/call/demo being scheduled. Note: Your conversation should start socially but does not need to end socially. For example, your initial outreach may be via LinkedIn but then could move to email/phone before a meeting is scheduled. If it is not possible for you to reach out to a client via social media channels because of your target industry, revert back to the use of email/phone for this assignment and reference something you learned about the buyer/client during your online research of them (i.e. personalize the message to the buyer/client). To complete this assignment, take a screenshot of your manager’s email response confirming the details of your new meeting/call/demo and upload the screenshot into the learning portal using the Upload Now button at the bottom of this page.